With over 22million passengers passing through last year and this figure set to rise. Stansted have released plans for a £130M new arrivals building. 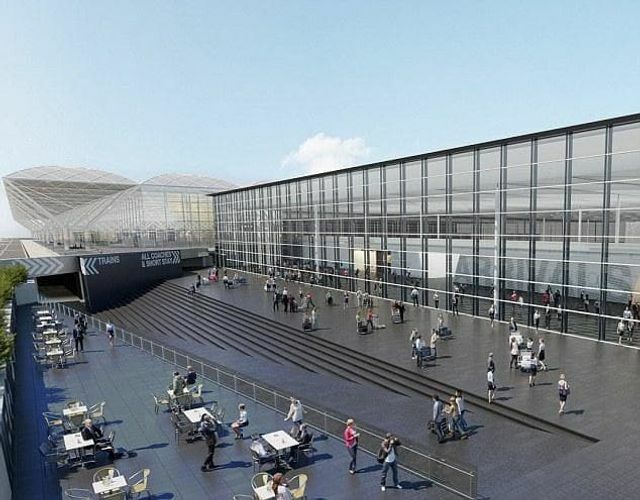 Plans released by Manchester Airport Group (MAG), who acquired the airport in 2013 have been submitted to planning with a view to sit a long side the current terminal building designed by Sir Norman Foster's, foster and Partners in the eighties. The UK’s busiest single-terminal airport is set for a £130million revamp, it was announced this week. London Stansted, which sees up to 5,000 passengers every hour through its doors, has unveiled plans for a new arrivals building which, it says, will improve the passenger experience. The Essex airport welcomed 22.5million travellers in 2015, making it the UK’s fourth busiest airport, and it expects that number to keep rising to its capacity of 35 million. The airport saw a 12.8 per cent growth in passenger numbers from 2014 to 2015, one of the largest rises in the country.